ADMISSION: Planetarium tickets cost $10 for one show, $16 for two shows on the same day. For reservations and information, call 908-231-8805. For additional information, visit www.raritanval.edu/planetarium. Saturdays, March 2, 9, 16, 23, 3 p.m.
March 2, 9, 16, 23, 4 p.m.
Saturdays, March 2, 9, 30, 8 p.m.
Singers Aretha Franklin, Madonna, Gloria Estefan, Beyoncé, and Shakira are just of few of the ladies whose music is highlighted in this new laser concert. Saturdays, March 9, 16, 23, 30, 7 p.m.
Saturdays, March 16 & 23, 8 p.m. The Secret of the Cardboard Rocket / El secreto del cohete de carton Friday, March 22, 7 p.m.
Friday, March 22, 9 p.m. Enjoy a laser concert featuring a variety of songs—all sung in Spanish. Artists include Calle 13, Bad Bunny, Prince Royce, Shakira, and Santana. TICKETS: Admission is free, though there is a suggested donation of $10 per person, which includes a reception following the concert. Advance registration for express entry is available at jccotp.org/Thurnuaer or by calling 201-408-1465. The Thurnauer School of Music at the Kaplen JCC on the Palisades will hold a faculty recital featuring Duo Trouvaille, a musical pair that includes Thurnauer faculty violinist Krzystof Kuznik and pianist partner Yulia Dusman, who will perform works by Ahmed Adnan Saygun, Fekret Amirov, Reza Vali, Karen Khachaturian, and Aram Khachaturian, composers from Turkey, Azerbaijan, Armenia, and Iran. Duo Trouvaille represents a rather recent collaboration between two gifted musicians, who have been active on the New York music scene for years. Russian born pianist Yulia Dusman and violinist Krzysztof Kuźnik, from Warsaw, Poland, both began their musical education in their homelands, but decided to continue their studies in New York. After completing them, both began an intensive performing as well as pedagogical schedule. They met by accident, began playing together, and formed Duo Trouvaille, an incredible musical dialogue that showcases their magnetic personalities and their gift for performances that keep audiences on the edge of their seats. Their fast-growing repertoire includes major works by Mozart, Grieg, Schnittke, Gershwin, Bartok, Tcimpidis, and Prokofiev, and a wide range of international compositions, including the ones that will be featured in the faculty concert. The JCC Thurnauer School of Music has been named a Major Arts Institution by the New Jersey State Council on the Arts. Serving close to 500 students from infancy through adulthood, it offers a comprehensive program similar to the finest pre-college conservatories. The Thurnauer experience includes instrumental lessons, ensembles, and classes, master classes with world-renowned artists; a chamber music series; faculty recitals; frequent student performances; and a 20+ year partnership with the Englewood Public School District. The school is a member of the National Guild for Community Arts Education and received an award for “excellence and high standards” from The Chamber Music Society of Lincoln Center. For more information, visit jccotp.org. Artistic Director Dr. Anne J. Matlack leads the select 25-voice group in presenting works by Jacques Arcadelt, Claudio Monteverdi, Heinrich Schütz, Sarah Rimkus, Sarah Quartel, former Harmonium Composition Contest winner Michael Rosin, and more. The Chamber Singers are thrilled to premiere a work by Harmonium’s own composer-in-residence Martin Sedek, and to present the New Jersey premiere of Dale Trumbore’s Open/Close Choral Consortium. There will also be a complete performance of Hindemith’s charming Six Chansons on poems by Rilke. Harmonium Choral Society, based in Morris County, is one of New Jersey's leading choral arts organizations. The 100-voice choral society has been recognized for its musical excellence and innovative programming, and has commissioned and premiered works by Amanda Harberg, Matthew Harris, Elliot Z. Levine, Dale Trumbore, Harmonium's composers-in-residence Mark Miller and Martin Sedek, and others. George Walker was born in Washington DC in 1922, but spent much of his adult life in Montclair as a resident on Grove Street. A graduate of Oberlin Conservatory in Ohio, Mr. Walker broke barriers in the classical music world throughout his career, most notably as the first Black musician to be awarded the Pulitzer Prize in Music for his work 'Lilacs' in 1996. An equally accomplished concert pianist, Mr. Walker was the first Black musician to perform in Manhattan's Town Hall; the first Black instrumentalist to perform with the Philadelphia Orchestra; and the first Black musician to be awarded a Doctor of Musical Arts degree from Eastman School of Music in Rochester, NY. Mr. Walker served as the chair of the music program at Rutgers University, and was awarded an honorary doctorate from Montclair State University. He was regularly commissioned by major institutions including the New York Philharmonic; Cleveland Orchestra; New Jersey Symphony; Saint Paul Chamber Orchestra; Eastman School of Music; and the National Endowment for the Arts. At the time of his passing at age 96, Mr. Walker was still composing, amidst commissions from Curtis Institute of Music and Los Angeles Philharmonic. Mr. Walker was very supportive of the initiative of the Montclair Orchestra, to bring together students and professionals in an unparalleled training program and present a wide range of programming to support the growth of orchestral musicians; we are pleased to be able to honor his contributions as a Black leader, and as a musician. Originally programmed prior to Mr. Walker's passing last summer, our March 10th concert is centered around the theme of Lyric, the title of one of his most famous works performed by orchestra. We invite you to hear his music on March 10th, and to continue to learn more about this incredible individual. Gregory Walker, son of Montclair resident, George T. Walker (1922-2018), and professional concert violinist in his own right, will talk about his father's musical works, and perform of some of his father's range of musical composition. Presented in conjunction with Adult School of Montclair. WHEN: Sunday, March 3, 2019, at 7 p.m.
TICKETS: $30 adults, $25 seniors, and students under age 18 are admitted free. Refreshments are served after the concert and the audience will have an opportunity to meet and greet the musicians. This concert spotlights the sonority of the woodwind instruments playing music of stunning virtuosity with a Latin American flavor and a nod to the theater. The Leonia Chamber Musicians Society's members Theresa Norris, flute and Marsha Heller, oboe are joined by Broadway's "Phantom of the Orchestra" members Atsuko Sato, bassoon and Norman Weiss, piano. The music includes Weiss' new composition, Six Bagatelles for Oboe, Bassoon and Piano; the Trio for Flute, Oboe, and Piano by Madeline Dring; Divertimento for Flute, Oboe and Bassoon by Juan Antonio Orrego-Salas; and the Duo for Flute and Bassoon by Heitor Villa-Lobos. WHEN: March 8th thru the 23rd. Fridays and Saturdays at 8pm, Thursday, March 21st at 8pm, and Sunday, March 10th at 3pm. For reservations, email us at alliancerepco@gmail.com or visit www.alliancerep.org. 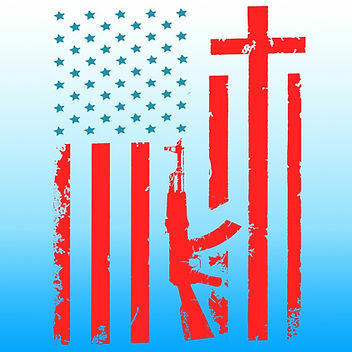 Church & State tackles the issues of religion in politics, gun control and being true to oneself in a simultaneously funny, heartbreaking and uplifting way. Directed by Gordon Wiener, the cast is rounded out by Kyle Walton playing multiple roles. “Anyone who sees Church & State is sure to be entertained, potentially moved and, hopefully, prodded into seriously considering how the ‘other side’ sees things,” said Wiener. The production has been dedicated to the memory of Artistic Director Michael A. Driscoll, who died in late January. “Michael's gift of searching out rarely produced plays in NJ, made ART a unique theater company where audiences were treated to off-beat plays that they would never have experienced, had it not been for Michael. Conducting the orchestra is Michael Stratechuk. The soloist for the harp concerto is Patricia Turse. The Metropolitan Orchestra of New Jersey, now in its 47th season, is a full symphonic community orchestra composed mostly of local volunteer musicians. Under the baton of Maestro Michael Stratechuk, the Orchestra performs three concerts per year (fall, winter and spring) featuring talented guest artists and some of the most popular and beautiful orchestral selections from major composers. WHEN: Saturday, February 23, through Sunday, March 24, 2019. Reception-Saturday, March 2 from 1-4 pm. Gallery hours are Saturdays and Sundays, from 2 to 4 p.m. and by appointment. Through an exciting partnership with the Visual and Performing Arts Program at West Orange High School (WOHS), the West Orange Arts Center’s (WOAC) latest show features rising stars of our arts community. This exhibit is part of the West Orange Arts Council’s Welcome to the West Orange Arts Center! year-long celebration of the arts. On display is the work of Advanced Placement Studio Art Juniors (Brandon Andrade, Olivia Callender, Ruth Donagher, Tricia Garchitorena, Christina Gilio-Malabre, Cassidy Joyce, Ari Latchman, Jack Mault) and Seniors (Elizabeth Berwind, Kate Dickman, Elijah Evans, Proggya Paromita, Emily Sarett, Jasmine Torruella) attending West Orange High School. The WOHS Arts Program offers a variety of visual and aesthetic art courses. Students are required to complete a one-semester foundation course in studio art before proceeding to advanced studies like advanced drawing, design, painting, graphics and sculpture. After completing demanding advanced courses, juniors and seniors may enroll in Advanced Placement Studio Art, producing portfolios for college admission and earning up to six advanced placement college credits. This is the third year the show is being coordinated by WOAC Board Members Lisa Suss and Frank Niccoletti, working with WOHS Visual and Performing Arts Director Louis Quagliato and Advanced Placement art teacher, Heather Young. Prior to the show, the art students receive instruction on display and presentation by Suss, who is also the gallery manager of The Gaelen Galleries at the JCC MetroWest also in West Orange. The West Orange Arts Council was established in 1998 to cultivate, inspire, and support the arts in West Orange. Area artists and community leaders remain the core of this all-volunteer organization that operates the West Orange Arts Center at 551 Valley Road, West Orange, NJ. Welcome to the West Orange Arts Center! is this year’s exciting year-long celebration of the arts, representing various artists, workshops, exhibits, and activities strives to enhance the lives of the residents of the Township of West Orange and neighboring communities. Submit your comedic monologues for consideration for an evening of original works and laughs—whether you’re an experienced writer or an aspiring writer. We encourage you to perform your own monologue. Not an actor? No problem! You can do a staged reading or we can cast an actor to perform! Monologues can be as short a minute, but not to exceed 10 minutes. We are looking for varying lengths, but we’ll be able to include more shorter ones! WHEN: SUN, MAR 24, 9AM-12PM. Please do not call or e-mail American Theater Group or SOPAC prior to the auditions. No video submissions will be accepted. American Theater Group, SOPAC’s professional Equity theatre company in-residence, announces auditions for non-Equity actors for the musical The Bridges of Madison County. Rehearsals will take place Tuesdays through Sundays at SOPAC beginning May 28. The performances will take place at the South Orange Performing Arts Center June 20-30, 2019. The Bridges of Madison County is a theatrical piece adapted from Robert James Waller’s novel, by the Tony and Pulitzer Award-winning team of Jason Robert Brown and Marsha Norman. As the winner of the 2014 Tony Award for Best Score and Orchestrations, this musical asks the age-old question of “what if…” in a love affair that takes place in a small town. In The Bridges of Madison County, a chance encounter forever changes the lives of a traveling photographer and an Iowan farm wife. The production features a soaring score and portrays a passionate and moving love story. TICKETS: $35-$39 and can be purchased at https://www.sopacnow.org/events/bridges/ or by calling the box office at (973) 382-1031. SOPAC programs are made possible in part by the New Jersey State Council on the Arts, a partner agency of the National Endowment for the Arts. American Theater Group was launched in 2012 with co-founders Joe Mancuso, Rick Sordelet and then-Mayor of Rahway Jim Kennedy that offers musicals and plays, a new musical reading series and arts-in education programming. 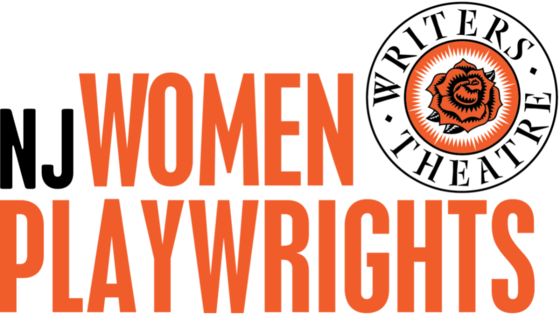 Its focus is on producing new and classical works, primarily by American playwrights, with an emphasis on the development of new works and the rediscovery of undeservedly neglected older ones. American Theater Group’s Board of Trustees chairperson is South Orange resident and Tony Award-winning actress Michelle Pawk. 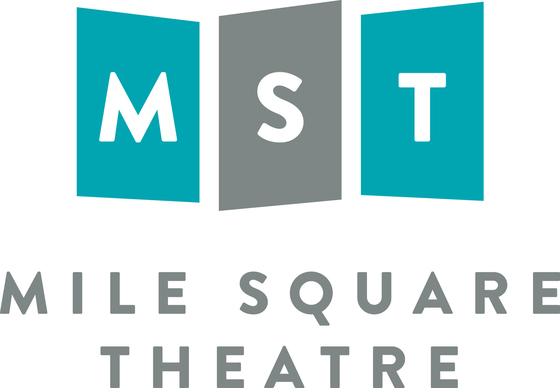 Two River Theater announces the spring schedule of guest artists for First Monday Masters, its popular series of master classes. All of the classes are taught by actors, directors, playwrights and designers affiliated with Two River Theater’s 25th Anniversary Season. Some master classes are for high school or college students, some for adults, and some are for mixed ages. Teachers can use the classes for professional development, and will receive a certificate of completion at the end of the evening. Violence on stage has to look realistic while remaining completely safe for all involved. Founded by David Anzuelo, UnkleDave’s Fight-House is the stage combat team behind many Two River productions including August Wilson’s King Hedley II and Be More Chill. Combining his training as an actor, director, and martial artist, Anzuelo brings a unique approach to fight choreography and stage violence. His core team consists of Jesse Geguzis, Sean Griffin and Gerry Rodriguez. These amazing fight-directors/stage-combat teachers will discuss—and demonstrate—how violence fits into storytelling on stage. 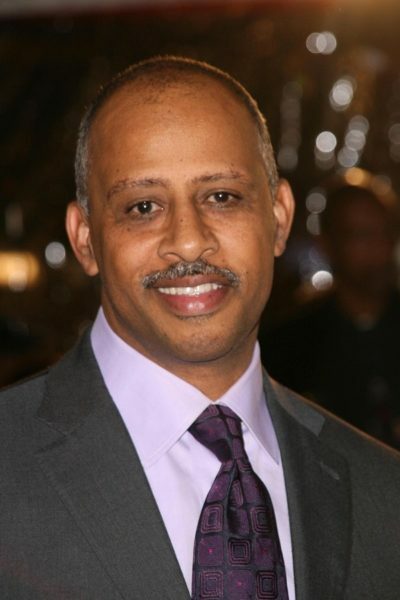 In this special master class, Ruben Santiago-Hudson will share insights and behind-the-scenes stories about his life and career as one of the American theater’s finest directors, playwrights and actors. A preeminent interpreter of the works of August Wilson, his Broadway credits include directing Jitney and acting in Seven Guitars (for which he won a Tony Award). At Two River—where he is directing this season’s production of Regina Taylor’s Oo-Bla-Dee—he has thrilled audiences with Ma Rainey’s Black Bottom, Jitney and Two Trains Running, as well as his own world-premiere play Your Blues Ain’t Sweet Like Mine. He won an Obie Award and critical acclaim for his solo show Lackawanna Blues, and his screenplay for the HBO adaptation received the Humanitas Prize, Christopher Award, National Board of Review Honors, and NAACP Image Award. Martin Moran will guide participants in how to transform life into art in this master class about using your own stories to create original work. He was awarded a 2004 Obie Award and two Drama Desk nominations for his play The Tricky Part, based upon his memoir of the same title, and a 2013 Lucille Lortel Award for Outstanding Off-Broadway Solo Show for his play All the Rage. 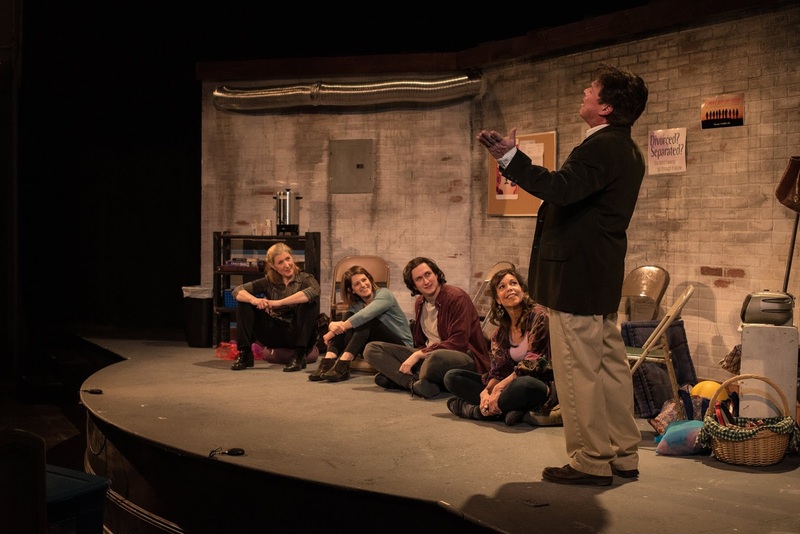 He performed The Tricky Part and All the Rage at Two River Theater in 2013/14, after which Two River commissioned him to write Theo, his first play for other actors, running now through March 24. As an actor, he has appeared on Broadway in many productions including Wicked, Monty Python’s Spamalot and Titanic. Two River’s 2018/19 Season Sponsor is Hackensack Meridian Health Riverview Medical Center. Two River Theater is supported in part by funds from the New Jersey State Council on the Arts, a Partner Agency of the National Endowment for the Arts, the Greater Kansas City Community Foundation, Andrew W. Mellon Foundation, Monmouth University, The Shubert Foundation, The Geraldine R. Dodge Foundation, Riverview Medical Center, The Stone Foundation of New Jersey, Doris Duke Charitable Foundation, The Blanche and Irving Laurie Foundation, The Harold and Mimi Steinberg Charitable Trust, The Horizon Foundation for New Jersey, Springpoint Senior Living Foundation at The Atrium at Navesink Harbor, Bank of America Charitable Foundation, US Trust, Wells Fargo, William T. Morris Foundation, Investors Foundation, The John Ben Snow Foundation, VNA Health Group, Brookdale Community College, and many other generous foundations, corporations and individuals. Director Joseph Stefanelli and Musical Director Kara Leigh invite you to Young Frankenstein auditions. WHEN: Saturday, March 9th, from 12pm-3pm and Monday & Wednesday, March 11th & 13th, from 7:30pm-9:30pm with callbacks by invitation on March 16th. WHERE: All auditions and rehearsals are at the Phoenix Performing Arts Center at 59 Chestnut Street, Red Bank. Rehearsals will be held on weekends and evenings. Performances will be held at the Count Basie Center for Arts between May 3rd and May 12th. The production team requests each auditionee prepare 32 bars of a Broadway-style song, preferably that shows your comedic timing and vocal range. Please bring sheet music in the appropriate key and be prepared to dance. ALL ROLES ARE OPEN AND AGES 16+ ARE WELCOME TO ATTEND. WHEN: March 13 at 7:30 p.m.
Free parking is available behind the Student Center. (For GPS search, use “57 Lipman Drive.”) Advance registration is requested online on the Bildner Center website, BildnerCenter.Rutgers.edu, or by email to rsvpBildner@sas.rutgers.edu. Please note new Rutgers parking policy: All guests attending Rutgers-New Brunswick events must register their vehicle online for each event. All parking registration links for Bildner Center events are available at BildnerCenter.Rutgers.edu. During the Holocaust, Jews from across the Soviet Union told their personal stories through Yiddish songs in a collection that was thought to be lost forever, but is now part of a Grammy-nominated recording in the world music category. Sponsored by the Allen and Joan Bildner Center for the Study of Jewish Life, the event is the annual Toby and Herbert Stolzer Endowed Program. The astonishing history of these songs starts in the early 1940s with a group of Soviet Jewish scholars who, at great personal risk, set about collecting and protecting the songs for future publication. In the 1990s, the collection was discovered in the basement of the Ukrainian National Library where it had been hidden by the Soviet government for about fifty years. Preeminent Yiddish singer, songwriter, and scholar Psoy Korolenko teams up with Professor Anna Shternshis, the Al and Malka Green Professor of Yiddish Studies at the University of Toronto, to bring these long lost songs to life. This all-new concert and lecture program is drawn from their 2019 Grammy-nominated CD, Yiddish Glory: The Lost Songs of World War II. Psoy Korolenko is known for his multilingual one-person cabaret style shows, which balance folk and klezmer music, free-style poetry, and intellectual comedy. He has released more than twenty CDs and the book The Hit of the Century. Anna Shternshis, director of the Anne Tanenbaum Centre for Jewish Studies at the University of Toronto, is the author of Soviet and Kosher: Jewish Popular Culture in the Soviet Union, 1923-1939 and When Sonia Met Boris: An Oral History of Jewish Life under Stalin. 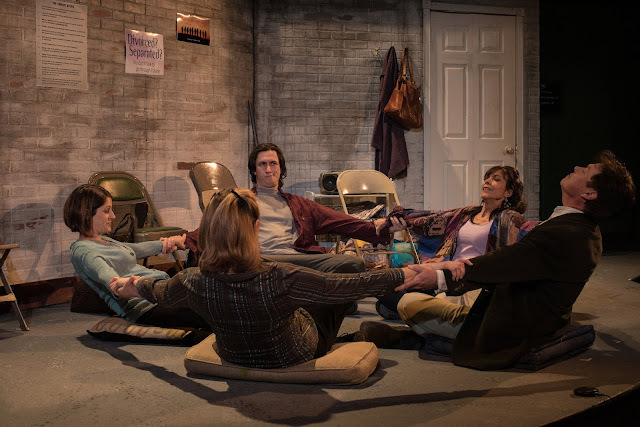 This latter is the premise of the comedy drama, aptly named Psychodrama, by Montclair playwright Phoebe Farber now receiving its world premiere at the Oakes Center by Dreamcatcher Repertory Theatre. The plot involves a divorce group that is suddenly left stranded when their leader quits halfway through the program. Luckily, Barb has agreed to be the new group leader. Her unorthodox techniques initially upset the quartet, but they eventually find that being off balance might just lead to a new understanding of their relationships. Director Betsy True moves the plot steadily through the 90-minute duration, eliciting stellar performances from the five cast members humanize and make more sympathetic their distasteful behavior. Becca Landis McLarty’s chirpy, always upbeat Mel is almost too good to be true, that is, until she reveals the truth about the break-up of her marriage. As 28-year-old Chuck, Julian Blake Gordon is sardonically flippant at first, but as the psychodrama peels away his façade, we see a young man more troubled by his relationship with his father than by the demise of his marriage. Laura Ekstrand’s “rage machine,” bullying Syl (above, with Dave) is so brittle and uptight that we fear she might break down before our eyes—she’s that unsympathetic—but she rises to the occasion when she reveals her situation and the group ultimately finds itself without a leader. And Harry Patrick Christian’s Dave is a good-hearted schlub trying to win back his wife who wants out but won’t leave the house. When he finally gets some nerve to confront her, we want to cheer his success. And finally, Harriett Trangucci is once more superb as a rather ditsy Barb (above, explaining psychodrama), full of good cheer and optimism, distributing scarves and engaging the group in trust exercises. Trangucci is terrific at portraying such characters, digging deep below the wackiness to reveal a woman who so much wants something more than the life she now has that she resorts to deceit, a move that could wreak havoc with the psyches of the group members. Dave Maulbeck’s set, a dreary all-purpose room in a Unitarian Church basement, casts a pall over the group meetings. Zack Pizza’s lighting adds to the appropriate dinginess, and Jeff Knapp’s sound features music suitable to each scene that charts the group’s progress (“Celebration” and “The Age of Aquarius” are just two). The costumes by Olivia Mastrangelo give expression to each character’s personality, with a jacket and briefcase for Dave, scarves and leggings for Mel, a slacker tee shirt and jeans for Chuck, more structured attire for Syl and bohemian dress for the free-spirited Barb. Psychodrama will be performed at the Oakes Center, 120 Morris Avenue, Summit, through March 3. This is the final weekend, so you’ll want to reserve tickets by calling 908.5784.9654 or visiting www.dreamcatcherrep.org online. It’s been said that farce is an acquired taste. If that’s true, I cop to having acquired it. Blend it with a play about the theater, and I’m hooked! Of course, the gold standard for this genre is Noises Off!, followed by the more recent Broadway production of The Play That Goes Wrong. Locally, Chatham Community Players has mounted a production of Rick Abbott’s theatrical farce, Play On!, which will keep audiences rolling in the aisles through March 9th. Director John A.C. Kennedy merrily marshals his band of actors through the mayhem, from halting rehearsal to breakneck delivery on opening night. The characters include both actors and those behind the curtain. Jessica Phelan’s Aggie Manville gamely provides cues to the stumbling actors, while Aaron Kellner’s director Gerry Dunbar tries to control his temper as things spiral out of control. 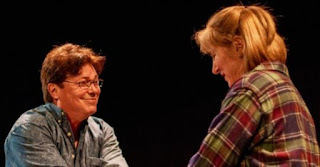 As playwright Phyllis Montague, Julie Anne Nolan is the proverbial pain in the you-know-what, sailing in with a sheaf of papers containing dialogue she wants the cast to learn on the spot. And as sardonic construction crew member Louis Peary, Roseann Ruggiero (right)brings down the house with her distracting noise and miscued sound effects. We might assume that the troupe’s veterans, Jim Clancy (Henry Benish playing Lord Dudley) and Lauri MacMillan (Polly Benish playing Lady Margaret Dudley; both left) would have a better handle on the proceedings, but they seem to be lost, he doddering and she imperiously quarreling with everyone. MacMillan’s warming up exercises in the opening scene are a stitch to watch. The third veteran cast member, Saul Watson (playing Dr. Rex Forbes), is portrayed with wise-cracking, elfin glee by Chip Prestera (right), whether he’s needling Polly about her weight or taking a nip or two of the liquor he’s sneaked onto the cocktail cart (with the expected tipsiness that derails the production on opening night). Playing the three newcomers are Ali Archetti as Violet Imbry (playing the ingenue Diana Lassiter), Shane Long as Billy Carewe (playing the villain Stephen Sellers) and a chirpy Rachel Gesner, the high school student Marta “Smitty” Smith (playing Doris, the Dudleys’ maid). Gesner is hilarious as she switches from Smitty’s real voice to the high-pitched voice used by the main; Long is a bit difficult to hear and understand as a result of his constantly chewing gum; and Archetti is very funny as she tries to shield the hots she has for Billy. Kudos to Steven Ruskin (set design), Christina Kirk and Kai Movsovich (costume design), Joe DeVico and Julia Lin (sound), and Ed Whitman (lighting). While Play On! 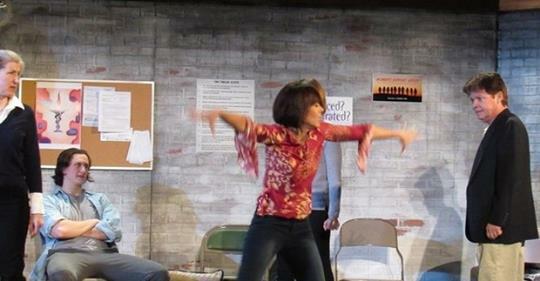 may lack the slamming doors so prevalent in farce, the sight of a troupe of amateur players making a mess of a mess of a play is droll and not lost on the folks at Chatham Community Players. Their productions never devolve into such chaos, but it must be fun to play one that does. Anyone who has read my reviews knows how much I love plays about the theater, especially comedies, and Play On! did not disappoint me. For an evening of side-splitting laughter, performed by a consummate cast portraying a bungling bunch of actors, you can do no better to head on over to the Chatham Playhouse for an evening of glee. Play On! will be performed at the Chatham Playhouse, 23 N. Passaic Ave., Chatham, through March 9. For information and tickets, call the box office at 973.635.7363 or visit www.chathamplayers.org online. Join us for readings of eleven new works performed by professional actors at three sites during the New Jersey Theatre Alliance-sponsored Stages Festival. Each reading is followed by a discussion with the writer, director, and Artistic Director John Pietrowski. Three new works presented in partnership with Mile Square Theatre in Hoboken.